Westgate Heights homes for sale are located in a serene residential neighborhood 20 minutes from downtown Albuquerque. This gated community features simple, modern homes with distant mountain views and private, quiet streets. Westgate Heights properties are lovely single-family, single-story homes with fresh interiors and endearing Mediterranean exteriors. If you're looking for an ideally priced home in a tranquil and family-friendly location, Westgate Heights homes for sale make an excellent choice. Search all Westgate Heights homes for sale in the listings below, or learn more about living in this charming neighborhood! Sign up with the New Mexico Home Team! When you sign up with the New Mexico Home Team, you'll be able to stay on top of the competitive market and turn the complex process of searching for a home into one that's simple and straightforward. Receive exclusive property updates at home or on-the-go and save your search criteria so you can pick up right where you left off. Homes for sale on the Westgate Heights real estate market range in price from approximately $100,000 to close to $170,000. 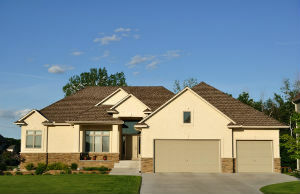 All are single-family homes; most are single-story ranchers but the occasional two-story property can be found in the area. Homes feature lovely stucco facades and bright, open interior space. Properties are relatively spacious, ranging between 1,350 square feet and 2,500 square feet. They have 2 to 3 bathrooms and 3 to 4 bedrooms. Westgate Heights is located 20 minutes from the heart of Albuquerque and is close to a wealth of excellent schools, golf course, country clubs, and parks. The area is well known and highly sought-after for its wealth of prestigious schools. Most are located within 5-10 minutes of Westgate Heights homes and all are highly regarded throughout the community. Contact the NM Home Team to discover the amazing opportunities available with Westgate Heights real estate!